Hezbollah, also known as The Party of God, is a radical Shi’a Muslim group fighting against Israel and “western imperialism” in Lebanon. The group does not recognize the legitimacy of Israel and it has labeled as a foreign terrorist organization (FTO) by the U.S. State Department since October 1997. Israeli intelligence estimates Hezbollah has amassed a stockpile of 150,000 rockets, including missiles capable of striking every major Israeli city. Hezbollah’s origins and ideology stem from the Iranian Revolution. The revolution called for a religious Muslim government that would represent the oppressed and downtrodden. According to Hezbollah, the United States was to blame for many of the country’s problems. Israel was seen as an extension of the United States and a foreign power in Lebanon. The organization itself started in 1982 as part of the Iranian government’s Revolutionary Guard Corps. Led by religious clerics, the organization wanted to adopt an Iranian doctrine as a solution to Lebanese political malaise. This doctrine included the use of terror as a means of attainting political objectives. Toward the end of 1982, Iran sent fighters to assist in the establishment of a revolutionary Islamic movement in Lebanon. Iran’s hope was that the new members would participate in the Jihad, or Holy War, against Israel. These forces, which were located in the area of Ba’albek in the northern Beqa’a valley, brought Iranian-Islamic influence to the area and constituted the core of the Hezbollah organization in Lebanon. 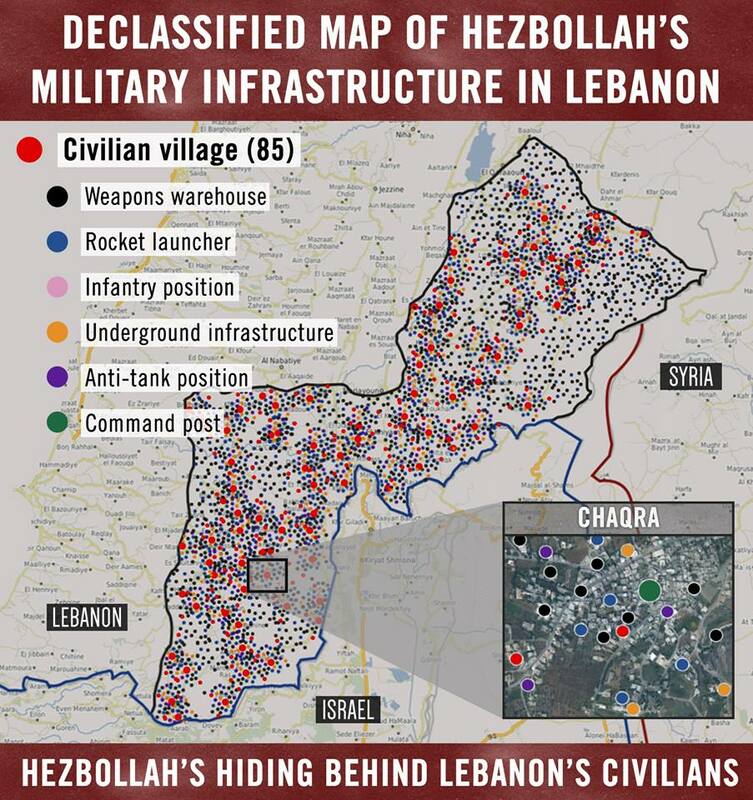 As the organizational infrastructure developed, Hezbollah, with Iranian and Syrian assistance, began to establish an extensive military network in the Ba’albek area. Its militias have since spread into the Shi’ite neighborhoods in southern and western Beirut as well as into southern Lebanon. Thousands of Hezbollah activists and members are located in the Beqa’a valley, Beirut and southern Lebanon. These areas also offer a base for the recruitment of additional activists and fighters among the local Shi’ite populations. After Israel’s war in Lebanon, the organization gained strength as it fought against the presence of French and American peacekeepers who remained in Lebanon after Israeli forces withdrew from Beirut. In 1985, the IDF withdrew from Lebanon, with the exception of a security zone created to protect Israel’s northern border. For the next five years Israeli troops worked with the South Lebanese Army to defend the border. Meanwhile, Hezbollah stockpiled weapons and and recruited many new members, all with the goal of driving the Israelis out of Lebanon. To gain support from the local population in South Lebanon, Hezbollah donated money, equipment, and medical supplies. In October 1997 , the U.S. State Department added Hezbollah to its list of terrorist organizations. Following Israel’s unilateral withdrawal from southern Lebanon in 2000, Hezbollah continued to mount terrorist operations against Israel. It accused Israel of continuing to hold Shaba’a Farm lands (which Israel and the UN agree are not part of Lebanon) and refusing to release Lebanese prisoners in Israeli jails. In response, Hezbollah, with the help of a UN peacekeeping force, kidnapped three IDF soldiers. A prisoner swap was not agreed upon until 2004, four years after the kidnapping. The “Al-Aqsa intifada” in Israel created additional opportunities for Hezbollah to perform acts of violence against the Jewish state. The organization funded the Palestinian Authority (PA) and collaborated with other terrorist organizations, including Hamas, to systematize attacks on Israel. It stepped up its recruitment in order to more efficiently infiltrate Israel’s international borders. It also continued to smuggle arms and advanced weapons into Lebanon from Syria and Iran and the PA. In 2002, the IDF intercepted a Palestinian Authority-owned ship, the Karine-A, carrying 50 tons of weapons, including anti-tank missiles, Katyusha rockets, and long range mortar bombs. Many of the weapons were made in Iran. A senior Hezbollah member was responsible for loading the weapons onto the ship. During this time, Iran and Syria both financially supported Hezbollah, facilitating its military growth to help enable it to fight Israel with more precision and lethality. On July 12, 2006, the military and financial support that Hezbollah had been receiving from Iran and Syria was put to the test when its guerrilla's perfidiously attacked an IDF patrol on the Israel-Lebanon border and abducted two soldiers, Ehud Goldwasser and Eldad Regev. Simultaneously, Hezbollah units inside Lebanon began firing katyusha rockets to pound northern Israel and create panic and fear. After more than a weeklong campaign of artillery and air fire to suppress Hezbollah targets, the IDF invaded southern Lebanon at the end of July with the mission to destroy Hezbollah's military capability and kill as many of its terrrorists and fighters as possible. Though the war is widely considered to have ended in a stale-mate, with neither side producing a decisive victory, Israel maintains that it killed nearly 600 Hezbollah guerrilla's and destroyed tons of their illegal weaponry. Hezbollah leader Hassan Nasrallah mentioned in various interviews that he did not expect such a high level response and invasion by the IDF following the initial attack but that he believes his forces acted heroically and not only withstood the Israeli assault but inflicted their own damage, killing more than 120 Israeli soldiers. In the aftermath of the month-long war in 2006, the United Nations was tasked with maintaining a UNIFIL force both on Israel's border with Lebanon to prevent future skirmishes, but also on Lebanon's border with Syria to prevent further arms smuggling into the Hezbollah stronghold areas. Unfortunately, UNIFIL's mission has been compromised either by a lack of desire on the part of its soldiers to interfere or a lack of ability to stop the smuggling. Israeli intelligence now believes that Hezbollah has completely rearmed itself from the 2006 war and has even enhanced its weapons stock further, despite UNIFIL's presence. It is believed that Hezbollah's weapons stores hold at least 10,000 katyusha and other short to medium-range rockets. In January 2012, the IDF further updated its operational assessment of Hezbollah to say that it believed the terrorist organization now had long-range surface-to-air missile systems imported from Syria that can match Israel's aerial dominance. The upheaval in Syria during the winter of 2011/2012 enabled Hezbollah to obtain the weapons systems in addition to other various Russian-made air-defense units. While Hezbollah is known to have a large quantity of shoulder-launched anti-aircraft missiles, the IDF now assumes that the Lebanese Islamist group has received the SA-8, a truck-mounted Russian tactical surface- to-air missile system reported to have a range of 30 kilometers. In addition to the possible transfer of air-defense systems, Hezbollah is also believed to have received several dozen more M600 long-range missiles, as well as additional 302 mm. Khaibar-1 rockets, which have a range of about 100 kilometers. In November 2013, security officials learned that Hezbollah had close to 200 Iranian-made unmanned aerial vehicles (UAV), including those that can track movement from high altitude and "kamikazes" that can avoid capture by radar and fire or drop munitions from low altitudes. On October 7, 2014 an explosive device was detonated on the Israel controlled side of the Israeli-Lebanon border. Hezbollah immediately took responsibility for the attack less than 4 hours after it happened, which is surprising considering their record of denying any attacks against Israel that they have been accused of. This marks the first time that Hezbollah has claimed responsibility for an attack against Israel since the the Second Lebanon War in 2006. The explosive device was detonated in the area of Sheeba Farms, an area that Lebanon believes is unrightfully occupied by Israel, and that Syria also claims the rights to. The explosion seriously injured 2 Israeli soldiers and was supposedly a retaliatory attack in response to an incident on Sunday in which IDF soldiers witnessed individuals attempting to illegally cross from Lebanon into Israel. The IDF soldiers opened fire at these individuals and caused them to retreat back to Lebanese territory. According to Lebanese sources this is not how the confrontation proceeded, and they claim that Israeli soldiers fired on their military positions, injuring one soldier. According to IDF spokesman Lt Colonel Peter Lerner, this attack was a "blatant breach of Israel's sovereignty". In response to this attack, the Israeli military fired artillery at two Hezbollah positions in Southern Lebanon, no injuries were reported. In a rare televised appearance on November 4 2014, Hezbollah leader Hassan Nasrallah warned of a third Lebanon war and stated that Israel should close "all of your airports and your ports" in the event of a third Lebanon war. Nasrallah threatened Israel and claimed that "there is no place on the land of occupied Palestine that the resistance’s rockets cannot reach". Following the January 2015 attack, Israeli security forces set to work drilling deep around the perimeter fences meant to keep the border communities safe, looking for Hezbollah infiltration tunnels. Although residents had claimed to have heard noises coming from underneath their homes, and security officials are convinced that Hezbollah is planning for their next attack, no tunnels were found. IDF Chief of Staff Lt Benny Gantz made it clear that Israeli border towns need to be better protected from these threats, and asked for more funding for the IDF to protect these vulnerable areas in the days after the attack. Hezbollah leader Hassan Nasrallah acknowledged for the first time on February 16, 2015, that Hezbollah had sent fighters into Iraq to combat the Islamic State. During the taped speech Nasrallah encouraged Arab states in the region to fight the Islamic State aligned with Hezbollah, and to abandon their US allies. It had been reported that Hezbollah had been sending fighters into Iraq to combat the Islamic State since mid-2014, but this speech represents the first time that Hezbollah leaders have acknowledged the existence of these fighters. The Worldwide Threat Assessment of the US Intelligence Communities removed Hezbollah and Iran from it's list of terrorism threats for the first time in recent history in February 2015. The assessment, presented to the U.S. Senate by the Director of National Intelligence, James Clapper, detailed how Iran had “intentions to dampen sectarianism, build responsive partners, and deescalate tensions with Saudi Arabia” during the past year. Iran and Hezbollah were still listed in the Defense Intelligence Agency's terrorism threat assessment. Four individuals from Syria approached the Syria-Israel border armed with ammunition and explosives under the cover of darkness on April 25, 2015. These individuals were spotted by Israeli security services as they attempted to set up explosive devices on the border fence. The Israeli Air Force was informed of this suspicious activity, and all four individuals were killed in an air-strike soon after they were spotted. It was assumed after the attempted attack that these terrorists were members of Hezbollah. On May 17, 2015, the U.S. House unanimously passed the Hezbollah International Financial Prevention Act, aimed at stifling the finances of the Hezbollah terrorist organization. The act ratchets up sanctions foreign financial institutions that are known to have dealings with Hezbollah. The majority Saudi-owned satellite company Arabsat dropped Hezbollah's Al-Manar television station from it's broadcasts in December 2015. Arabsat was not the first provider to drop the Hezbollah channel, but it is one of the largest. The Al-Manar station is banned in France, Germany, Spain, the Netherlands, Brazil, Canada, and Australia, and is classified on the U.S. Specially Designated Global Terrorist list. Hezbollah's Al-Manar channel is still broadcast around the globe by Egypt's Nilesat, Russia's Express, and Indonesia's Indosat. Hezbollah fighters set off a large explosive device as an Israeli armored convoy drove past near the Lebanon border on January 4, 2015. No casualties were sustained in the explosion. The attack was in retalliation for the killing of Samir Kantar, a prominent Lebanese militant fighter who was killed in Syria during December 2015. The IDF responded with targetted artillery fire against Hezbollah outposts. The Gulf Cooperation Council (GCC) officially recognized Hezbollah as a terrorist organization on March 1, 2015. The action was prompted by Hezbollah attempting to recruit fighters and smuggle weapons and drugs within GCC states, according to a spokesperson. Israeli Air Force fighter jets struck a weapons convoy on the Syria-Lebanon border believed to be headed for Hezbollah militants on May 10, 2016. Prominent Hezbollah leader Mustafa Amine Badreddine was killed in an elleged air strike near Damascus airport in early May 2016. Badreddine was a well-respected member of the organization, who was believed to have been behind all of Hezbollah's activties in Syria since 2011. Four individuals and one organization, Global Cleaners SARL, were sanctioned by the U.S. Treasury on October 19, 2016, for providing assistance and support to Hezbollah. The four men, Muhammad al-Mukhtar Kallas, Hasan Jamal-al-Din, Yosef Ayad, and Muhammad Ghaleb Hamdar, performed financial services for Hezbollah members and assisted in the planning and execution of acts of terror. Two of the men were members of Hezbollah's External Security Organization, and one had been arrested in Peru in 2014, under suspicion of planning attacks in the country. Global Cleaners SARL was found to be run by Hezbollah member and top financier Adham Tabaja. In a periodic report on the implementation of UN resolution 1701 released in March 2017, Secretary-General of the United Nations Antonio Guterres argued that recent statements and rhetoric espoused by Hezbollah leader Hassan Nasrallah increase the risk of tension and could lead to renewed war between Hezbollah and Israel. An Israeli air strike on April 26, 2017 destroyed a Hezbollah operated supply hub near the Damascus Airport in Syria. Regular shipments of weapons were sent from Iran to Hezbollah militants through the supply depot. A similar Israeli air strike struck and destroyed a weapons warehouse belonging to Hezbollah five months later, on September 24, 2017. Speaking at the annual Herzliya security conference near Tel Aviv in June 2017, Israeli Air Force Major-General Amir Eshel stated that if war were to break out with Hezbollah once again, Israel would open with all our strength from the start. Assuring the audience that Israel contains air power unimaginable in its scope, Eshel bragged that what the air force was able to do quantitatively in the… Lebanon war over the course of 34 days we can do today in 48-60 hours. The Trump administration announced a new public campaign against Hezbollah in October 2017, including cash rewards for the groups most wanted members and stepped up counterterrorism and intelligence efforts. On November 20, 2017, Hezbollah leader Hassan Nasrallah boasted in a speech that Hezbollah is proud and honored to say we sent Kornet missiles to the Gaza Strip. Arab League officials accused Iran of destabilizing activites in the region and labelled Hezbollah a terrorist organization in November 2017, but stopped short at taking any action against either. Hezbollah leader Hassan Nasrallah announced on December 11, 2017, that “Jerusalem, Palestine and the Palestinian people will return to being the priorities” for the group, following the fall of ISIS in Syria and U.S. President Donald Trump's recognition of Jerusalem as Israel's capital. Nasrallah called on all Arab nations to cease relations with Israel and engage in resistance on behalf of the Palestinian people. Nasrallah made the announcement in Beirut, Lebanon, to a crowd of thousands gathered at a rally. Members of the UK Parliament passed a non-binding resolution on January 28, 2018, classifying Hezbollah as a terrorist organization under the country's terrorism legislation. Only the military wing of Hezbollah was designated a terrorist group in the UK previously, and this resolution additionally designated their political wing a terrorist organization. The U.S. Treasury Department announced new sanctions on February 2, 2018, against thirteen individuals and businesses allegedly associated with Hezbollah funding networks based in Iraq, Lebanon, Sierra Leone, Ghana and Liberia. In early 2018 the IDF began construction of a tens-of-meters high concrete wall along the Lebanon-Israel border, to keep Hezbollah operatives from infiltrating Israeli territory. A representative from the United Nations Interim Force in Lebanon (UNIFIL) announced that the organization was closely monitoring the construction to ensure the work stays on the Israeli side of the border to prevent unnecessary tension. Hezbollah has consistently tried to paint itself as a moderate national liberation organization aimed at “introducing the Islam that is confident in achieving justice, as well as introducing the Islam that protects all human rights.” It tries to portray an image as a group who would rather not commit acts of terror, but must for the benefit of the Arab world. 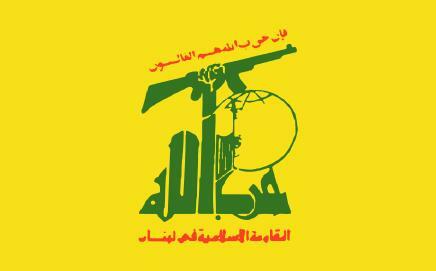 Hezbollah is an active participant in Lebanese politics. In 1992, it participated in elections for the first time, winning 12 out of 128 seats in parliament. It won 10 seats in 1996, and 8 in 2000. In the general election of 2005, it won 23 seats nationwide. An alliance between Amal and Hezbollah won all 23 seats in Southern Lebanon. Lebanese Prime Minister Saad Hariri unexpectedly resigned November 4, 2017, during a trip to Saudi Arabia, saying his life was in danger and accusing Iran of causing “devastation and chaos.” Saudi Foreign Minister Adel al-Jubeir subsequently described Hezbollah as a “first-class terrorist organization" that should lay down its arms and respect Lebanon's sovereignty. He accused Hezbollah of destabilizing the region, and said “consultations and coordination between peace-loving countries and Lebanon-loving countries are underway to try to find a way that would restore sovereignty to Lebanon and reduce the negative action which Hezbollah is conducting in Lebanon.” Hariri later returned to Lebanon, withdrew his resignation and accused the Saudis of kidnapping him. In May 2018, Lebanon held its first parliamentary election in nine years, which resulted in a strengthening of Hezbollah’s grip on the government. Hezbollah and its allies won 67 out of the 128 parliamentary seats. The big loser was the Future Movement of Prime Minister Saad Hariri, which lost 13 seats and now has only 20. The Lebanese Forces, which opposes Hezbollah, increased its representation, but still has only 15 seats. Shi’a Islam international bases are used to buy and sell weapons for organized attacks. Asia is a key target for Hezbollah, and Hezbollah has been pulling Malaysians and Indonesians into the organzation to expand operations and terrorist attacks around the world. Hezbollah extended its operations across the globe throughout the 1980s, kidnapping individuals in a attempt to gain political leverage. Hezbollah operates a satellite television station from Lebanon, Al-Manar TV (“the Lighthouse”) as well as a radio station, al-Nour (“the light”). Qubth Ut Alla (“The Fist of God”) is the monthly magazine of Hezbollah’s paramilitary wing. They are widely viewed by West Bank and Gazan Palestinians as well as some Lebanese. The spiritual father of the movement in Lebanon is Sheikh Muhammed Hussein Fadlallah who acts as chief Mujtahid (arbiter of Islamic law) of the Shi’ite community in Lebanon. The current Secretary General of Hezbollah is Hassan Nasrallah. At the start of the 1980s he was responsible for the Beqa’a area on behalf of the AMAL movement. He left the organization in 1982 and affiliated with Hezbollah, taking with him many of his followers. Following the death of Abbas Musawi, Nasrallah was unanimously elected to be his successor. The organization views an Islamic republic, modeled after Iran, to be the ideal form of a state. Lebanon remains a religiously and ideologically heterogeneous society. According to their published political platform in 2003, Hezbollah claims to favor the introduction of an Islamic government in Lebanon by peaceful democratic means. According to the United States Department of State and reports submitted to Defense Technical Information Center, the organization is seeking to create an fundamentalist Iranian-style Islamic republic and removal of all non-Islamic influences. Hezbollah supports the destruction of the state of Israel and co-operates with other militant Islamic organizations such as Hamas in order to promote this goal. Hamas actually maintains its own “embassy” in Tehran. In 1992, Iran, Hezbollah, and Hamas signed an official agreement of cooperation. As recently as 2002, it has been known that Iran was directly involved in numerous attempts to launch rockets into Israel through members of Hamas and Islamic Jihad who were trained by Hezbollah in Iranian camps. A relationship has also developed between Hezbollah and Al-Qa’ida, according to a former Al-Qa’ida member who was captured and convicted of bombing U.S. embassies in Kenya and Tanzania. Ali Muhammad said that “Hezbollah provided explosives training for Al-Qa’ida,” and that he personally arranged a meeting between Hezbollah’s chief and Osama bin Laden in Sudan. In 2002, leaders of Hezbollah, Al-Qa’ida, and Hamas met formally in Lebanon to discuss future joint terrorist attacks against America, Britain, and Israel. Syria backs Hezbollah morally and has also supplied it with money and arms. In return, Hezbollah protects Syria’s political and military interests in Lebanon. Hezbollah also receives financial aid, training, weapons, and explosives from Iran. Iran also contributes political, diplomatic, and organizational aid. According to Iran’s official budget, Iran gave $500 million in support of radical Islamic organizations around the world in the 1990s. Of that money, Hezbollah was reported to receive at least $250 million. It is also suspected that Hezbollah has received financial and military aid from Russia in the past. Russia did not denounce Hezbollah as a terrorist organization until approximately twelve years after its establishment. Hezbollah has a number of illicit fund-raising rings operating in the United States. In 2003, the Drug Enforcement Administration discovered the existence of an organized drug smuggling operation that was funneling money to Hezbollah from Chicago and Detroit. In Charlotte, North Carolina, the Bureau of Alcohol, Tobacco, and Firearms investigated a multi-million dollar cigaretter smuggling ring that gave over $2 million to Hezbollah over a period of 8 years. The money received from the Charlotte operation allowed Hezbollah to purchase advanced military technology and global positioning systems. In March 2003, the leader of the cigarette smuggling ring, Mohamed Hammoud, received a 155-year sentence for racketeering and providing material support for Hezbollah. Hezbollah is believed to have kidnapped and tortured to death U.S. Army colonel William R. Higgins and the CIA Station Chief in Beirut, William Buckley, and to have kidnapped around 30 other Westerners between 1982 and 1992. Hezbollah was suspected of involvement in numerous anti-US and anti-Israeli terrorist attacks. The organization was responsible for the suicide truck bombings of the U.S. Embassy and U.S. Marine barracks in Beirut in October 1983, in which 241 American servicemen were killed (220 Marines, 18 Navy personnel and 3 Army soldiers) and the U.S. Embassy annex in Beirut in September 1984. The bombing at the Marine barracks in Beirut was the deadliest single-day death toll for the United States Marine Corps since the Battle of Iwo Jima (2,500 in one day) of World War II and the deadliest single-day death toll for the United States military since the 243 killed on 31st January 1968 — the first day of the Tet offensive in the Vietnam war. The attack remains the deadliest single attack on Americans overseas since World War II. Three members of Hezbollah, Imad Mughniyeh, Hasan Izz-al-Din, and Ali Atwa, were on the FBI’s list of 22 Most Wanted Terrorists for the hijacking in 1985 of TWA Flight 847 during which a U.S. Navy diver was murdered. Mughniyeh was assassinated in 2008 in a joint CIA-Mossad operation. Elements of the group were responsible for the kidnapping and detention of Americans and other westerners in Lebanon in the 1980s. In 1989, Hezbollah terrorists planned to kidnap Israel's consul general in Sao Paolo or a diplomat in Brasilia to use as hostages for negotiations to free Hezbollah prisoners in Israel. Security forces searched for the terrorists for a month before learning they had left the country. In 1992 and 1994, Hezbollah is claimed to have carried out the Israeli Embassy Bombing and the AMIA Bombing in Buenos Aires, Argentina. Eight days after the AMIA Bombing the Israeli Embassy in London was car bombed by two Palestinians linked to Hezbollah. In January 2000, Hezbollah assassinated the commander of the South Lebanon Army Western Brigade, Colonel Aql Hashem, at his home in the security zone. Hashem had been responsible for day to day operations of the South Lebanon army. On June 16, 2004, two Palestinian girls — aged 14 and 15 — were arrested by the IDF for plotting a suicide bombing. According to IDF statement, the two minors were guided by Hezbollah. On June 23, 2004, another allegedly Hezbollah-funded suicide bombing attack was foiled by the Israeli security forces. Since the Second Lebanon War, Hezbollah operatives have been seen and, at times, even arrested in the Caribbean, Central America, South America and Asia. In January 2012, one Hezbollah suspect was arrested and another managed to avoid capture, in Thailand's capital city, Bangkok, where security services believe they were working in a cell planning to attack areas commonly frequented by Israeli tourists. The attacks were thought to have been planned in coordination with the anniversary of the assassination of Hezbollah operations chief Imad Mughniyeh on February 12. Israeli counter-terror experts warned that Hezbollah's long arm was begining to extend even further than many believed it could. On October 7, 2014, an explosive device was detonated on the Israel controlled side of the Israeli-Lebanon border. Hezbollah immediately took responsibility for the attack less than 4 hours after it happened, which is surprising considering their record of denying any attacks against Israel that they have been accused of. This marks the first time that Hezbollah has claimed responsibility for an attack against Israel since the the Second Lebanon War in 2006. The explosive device was detonated in the area of Sheeba Farms, an area that Lebanon believes is unrightfully occupied by Israel, and that Syria also claims the rights to. The explosion seriously injured 2 Israeli soldiers and was supposedly a retaliatory attack in response to an incident on Sunday in which IDF soldiers witnessed individuals attempting to illegally cross from Lebanon into Israel. The IDF soldiers opened fire at these individuals and caused them to retreat back to Lebanese territory. According to Lebanese sources this is not how the confrontation proceeded, and they claim that Israeli soldiers fired on their military positions, injuring one soldier. According to IDF spokesman Lt Colonel Peter Lerner, this attack was a "blatant breach of Israel's sovereignty". In response to this attack, the Israeli military fired artillery at two Hezbollah positions in Southern Lebanon, no injuries were reported. U.S. Secretary of State Rex Tillerson held a press conference with Argentinian Foreign Minister Jorge Faurie on February 4, 2018, where the two announced that their respective countries would begin doing more to cut off Hezbollah's funding networks in South America. Hezbollah has a presence in Colombia under cover of a legitimate organization called the “External Security Organization” (ESO), which is essentially Unit 910, Hezbollah’s foreign operations arm responsible for the 2012 terrorist attack in Burgas, Bulgaria and the attacks in Argentina during the 1990’s. Hezbollah’s presence and activities were confirmed by the Colombian police in a three-year investigation carried out jointly with the U.S. Drug Enforcement Agency. The investigation found that Iran directs the ESO through Lebanon and Hezbollah recruits Colombians from the 40,000 Muslims living in the country and sends them to Lebanon for indoctrination and training. A senior member of the group responsible for Hezbollah operations in Panama was expelled from Colombia in 2017 after being indicted for drug smuggling and money laundering. Imad Mughniyeh was the ESO’s founder and leader until his assassination in 2008; its current head is Talal Hamiyeh. The Argentinian government froze the assets of a suspected Hezbollah fundraising network in July 2018, following an investigation into the Hezbollah-linked criminal organization the Barakat Group. According to the Financial Information Unit of Argentina, Hezbollah-affiliated Lebanese citizens in Argentina were laundering money through casinos in Iguazu to finance the groups terrorist activities. A statement released by the Financial Information Unit claimed that the Barakat Group were involved in smuggling, falsifying of money and documents, extortion, drug trafficking, arms trafficking, money laundering and terrorist financing. The United States Treasury targetted the Barakat Group in 2006, and named their leader, Assad Ahmad Barakat, as a Specially Designated Global Terrorist in 2004. A few weeks earlier, two other Lebanese nationals suspected of ties to Hezbollah and involvement in the network were arrested by Paraguayan authorities. Two alleged Hezbollah operatives were arrested in the United States on June 8, 2017. Ali Kourani, 32, and Samer el Debek, 37, both naturalized U.S. citizens, were charged with performing surveillance on prospective targets for attacks to be carried out by Hezbollah's external operations wing, Islamic Jihad. Kourani, who was living in the Bronx, New York at the time of his arrest, had been gathering intelligence regarding operations and security at New York airports, and was working to identify individuals affiliated with the IDF in the U.S. Born in Lebanon in 1984, Kourani relocated to the United States in 2003. His family's home in Lebanon was allegedly destroyed during the 2006 Lebanon War, and two years later he was recruited into Hezbollah. In 2016 and early 2017, Kourani was interviewed by the FBI multiple times, during which he mused that his family were the Bin Ladens of Lebanon, and bragged that one of his brothers was the face of Hezbollah in a particular Lebanese city. Samer el Debek was living in Dearborn, Michigan when he was arrested, and had spent time observing security procedures at the Panama Canal and the Israeli Embassy in Panama, as well as identifying areas of weakness in the construction of the Panama canal. El Debek admitted during meetings with the FBI that he was first recruited into Hezbollah in late 2007 or 2008, and travelled to Lebanon to train with Hezbollah fighters at least four times between 2009 and 2013. An FBI special agent who interviewed el Debek stated that he posessed a high degree of technical sophistication in the area of bomb-making. According to Colin Clarke, Hezbollah has had other operatives and activities in at least ten states. The Goodwill Charitable Organization run out of Dearborn, Michigan for example, was used to transfer money from American supporters to Lebanon. A money laundering scheme involved purchasing cars in the United States and reselling them in Afica. Yet another operation involved smuggling cigarettes. Hezbollah has also engaged in cyberwarfare and hacked into systems in at least four states. Clarke says the FBI conducted an intelligence investigation in the 1990s, Operation Smokescreen, which resulted in 26 people being charged with a variety of crimes. Later, Operation Bathwater, uncovered what was then the largest credit card fraud scheme in U.S. history. Since then, the government closely monitors Hezbollah activities in the United States and abroad. Individuals affiliated with Hezbollah are barred from the United States and American citizens are prohibited from providing any material or financial support to the terrorists. Director of the U.S. National Counterterrorism Center Nicholas Rasmussen told reporters during a briefing in October 2017 that Hezbollah is determined to give itself a potential homeland option to launch attacks within the United States. The Trump administration is working to disrupt the group’s fundraising, logistics and operations, and to demonstrate to any doubters that the group is a terrorist organization and not a legitimate political party. 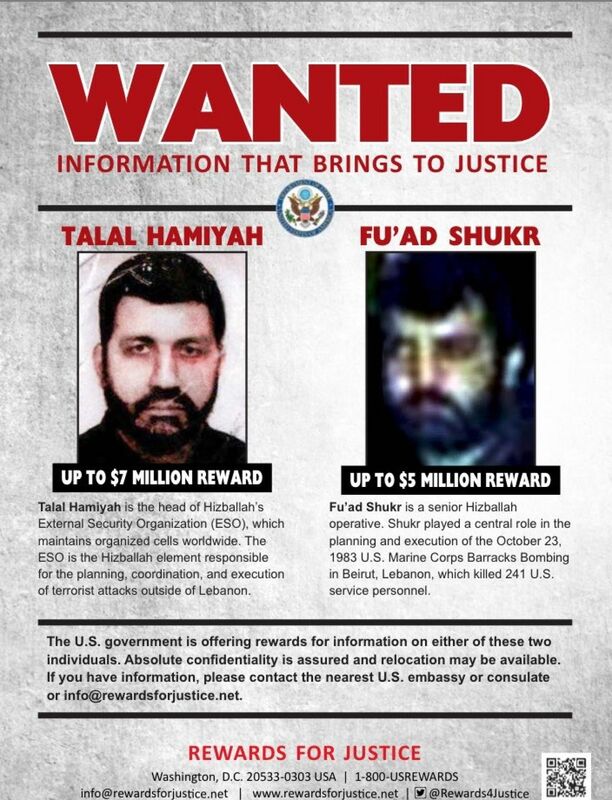 As part of the new strategy to take on Iranian proxies in the Middle East, Rasmussen announced a $12 million reward for the capture of two top Hezbollah operatives: Talal Hamiyah ($7 million) and Fu'ad Shukr ($5 million). Hamiyah is in charge of coordinating Hezbollah attacks outside of Lebanon, and Shukr played a central role in the 1983 attack on the U.S. Marine corps barracks in Beirut. On May 16, 2018, the U.S. Treasury Department imposed sanctions on Hezbollah’s top two officials, Sayyed Hassan Nasrallah and Naim Qassem, and four other officials of the group’s ruling Shura Council. The measures were imposed jointly by Washington and its partners in the Terrorist Financing and Targeting Center, which includes Saudi Arabia, Bahrain, Kuwait, Oman, Qatar and the United Arab Emirates. On October 15, 2018, U.S. Attorney General Jeff Sessions designated Hezbollah as a transnational criminal organization that will be subject to tougher investigations and prosecutions. A special team of “experienced international narcotics trafficking, terrorism, organized crime, and money laundering prosecutors” will investigate individuals and networks providing support to Hezbollah, Sessions said. Hezbollah finances its terrorism using a sophisticated drug-trafficking operation and continues to profit from its drug sales despite the world's objections. Hezbollah primarily earns its profits through drug sales in Latin America, but its activities have been traced across multiple continents. The group combines its drug profits with proceeds from legitimate used-car sales in West Africa. Until it was uncovered by officials, this global money-laundering scheme effectively masked Hezbollah’s earnings. In 2009, U.S. officials discovered a series of criminal schemes, which ranged from stolen laptops, passports, and gaming consoles to selling stolen and counterfeit currency, procuring weapons. The origin of the plots was traced to a Hezbollah representative in Iran. In January 2010, German officials arrested two suspects in Frankfurt’s airport after linking four Lebanese individuals to nearly 10 million euros in drug profits. Officials accused the suspects of trading drugs and sending the proceeds to relatives directly connected to top Hezbollah officials. In 2011, the U.S. government seized drug profits linked to Ayman Joumaa, a drug trafficker and money launderer, linked to Hezbollah. His network was earning as much as $200 million per month. In April 2013, the United States Treasury Department took action against Hezbollah for working as a drug cartel and also blacklisted two Lebanese financial institutions, accusing them of transferring tens of millions of dollars to the terror group. American officials later confirmed that one of the banks agreed to pay the United States $102 million to settle a lawsuit involving Hezbollah's money laundering scheme. In June 2013, four Lebanese men were sanctioned for effectively acting as “ambassadors” for Hezbollah in West Africa. The United States Drug Enforcement Administration, with the assistance of France, Germany, Italy, Belgium, and other European nations, busted a drug smuggling network supplying money to Hezbollah operatives. On February 1, 2016, the DEA announced the arrest of four individuals, accused of working with South American drug cartels to transport cocaine and other illicit drugs into the U.S. and Europe and then using the drug money to buy weapons for Hezbollah. On February 15, 2016, Panamanian authorities arrested a man travelling from Panama to Columbia with $500,000 cash in a suitcase on charges of managing drug-related operations and money laundering activities helping to support Hezbollah. On January 12, 2018, the U.S. Attorney General announced the formation of the Justice Department's new Hezbollah Financing and Narcoterrorism Team (HFNT), including experienced narcotics, terrorism, organized crime, and money laundering prosecutors. The teams mission is to investigate and prosecute individuals and networks connected to the financing or support of Hezbollah. Protests against the Syrian government of Bashar Assad began in March 2011 and escalated to the point of becoming a civil war. At the behest of its patron, Iran, Hezbollah forces joined the fight to keep Assad in power. Syria has long been a defender of Hezbollah and one of its primary sources of weapons, most originating in Iran and smuggled to Lebanon. An estimated 8,000 members of the group, one-third of its force, are stationed in Lebanon. Approximately 1,800 fighters, including some from its elite units, have been killed and 6,000 wounded. It is also fighting without a supreme military commander after the assassination in 2008 of Imad Mughniyeh in a joint CIA-Mossad operation and the murder of his brother-in-law Mustafa Badreddine, who was rumored to have been killed in Damascus in 2016 by one of his own men on the orders of Hassan Nasrallah. On one hand, fighting has given Hezbollah a great deal of battlefield experience to prepare for a future war with Israel. On the other hand, the Lebanese Shiite community has become increasingly restless over the group’s involvement in what amounts to a foreign conflict. Families are also suffering as loved ones return with disabling injuries or in body bags. Hezbollah is also reportedly having financial difficulties, as its drug smuggling, money laundering and subsidies from Iran are insufficient to cover its expenses. On September 10, 2018, a federal judge in Washington, D.C. ordered Iran to pay $104.7 million to victims of a June 1996 truck bombing on the Khobar Towers complex in Dhahran, Saudi Arabia that killed 19 U.S. military personnel. Thirteen members of Hezbollah were indicted in federal court in June 2001 over their alleged roles in the attack. Chief Judge Beryl Howell entered a default judgement against Iran and the Islamic Revolutionary Guard Corps, which did not defend against claims over their alleged roles in the attack. Howell said plaintiffs could not collect punitive damages because the law did not allow them for attacks occurring before 2008. It is not clear if or how the judgement will be collected. In December 2006, a federal judge in Washington, D.C. ordered Iran to pay $254.4 million to family members and the estates of 17 Americans who died in the attack, also in a default judgement. In July 2017, reports disclosed that Hezbollah is building a military industry in Lebanon with the help of Iran. One factory being constructed in northern Lebanon is designed to manufacture Fateh 110 medium-range missiles, which can reach most of Israel and carries a 500 kilogram warhead. A second factory is being built on Lebanon's southern coast. One reason for the new construction is that Israel has successfully interdicted a number of shipments of weapons from Syria. The smuggling of arms and construction of weapons factories are violations of UN Security Council Resolution 1701, which called for making southern Lebanon a weapons-free zone, except for the Lebanese army. The UN has taken no action in response to these violations and the UNIFIL force continues to fail in its mission to prevent Hezbollah from moving personnel, weapons and and assets into the area near the border with Israel. Israel also claimed Hezbollah was violating UN resolutions by setting up a network of observation posts along the border with Israel under the guise of a civilian organization called Green Without Borders. In May 2018, UN Secretary-General Antonio Guterres submitted a semi-annual report on implementation of the 2004 Security Council resolution ordering all Lebanese militias to disarm. He said Hezbollah’s military activity violates the resolution and the Taif Accords that ended the country’s 1975-90 civil war. His report called on Lebanon’s government and armed forces “to take all measures necessary to prohibit Hezbollah and other armed groups from acquiring weapons and building paramilitary capacity” outside the authority of the state. As part of increasing cooperation with Hezbollah, Hamas’s deputy political chief, Saleh Arouri, has established the group’s main political ‎headquarters in Beirut.‎ In addition, Hezbollah is training Hamas fighters at its bases in southern Lebanon. Israel has repeatedly struck targets in Syria to prevent the land transfer of weapons to Hezbollah, but Iran has reportedly increased its delivery of weapons by air via Damascus. According to former deputy Mossad chief Naftali Granot, Hezbollah has significantly upgraded its arsenal with the help of Iran. “It got antiaircraft missiles, antitank missiles, and recently received small numbers of GPS precision-guided systems which will help it convert some heavy rockets into accurate missiles,” he said in September 2018. During his September 27, 2018, address at the UN General Assembly Israeli Prime Minister Benjamin Netanyahu showed photos of what he said were three Hezbollah “secret sites”: a football stadium, a location near Beirut International Airport and a residential neighborhood 500 meters from the airport’s landing strip where the group is using Iranian technology to convert the group’s rockets into precision-guided missiles capable of threatening targets deep inside Israel. He accused Hezbollah of using civilian areas to shield them from Israeli airstrikes, but threatened to attack them if they were not shut down. Netanyahu said on December 19, 2018, that Hezbollah had shut down plants to develop precision-guided missiles after Israel exposed them. Israeli intelligence, however, reportedly informed U.S. Secretary of State Mike Pompeo in March 2019 that Hezbollah has built a new missile factory in Beirut with the help of Iran. During a visit to Lebanon, Pompeo warned Prime Minister Saad Hariri that allowing the construction of facilities with the aim of manufacturing precision-guided missiles could provoke a response from Israel. Another threat was exposed when Israel discovered a series of tunnels constructed by Hezbollah that extended across the Lebanese border into Israel. On December 3, 2018, the IDF launched Operation Northern Shield to destroy them. Israeli officials have concluded Hezbollah is now largely in control of the Lebanese Armed Forces (LAF). This is particularly disturbing given that the LAF has received more than $1.5 billion in assistance from the United States over the past twelve years and that LAF commander Joseph Aoun has said his forces intend to participate in any future war against Israel. As fears of a future conflict have grown, Israel decided to build an 80-mile security barrier along the border with Lebanon. 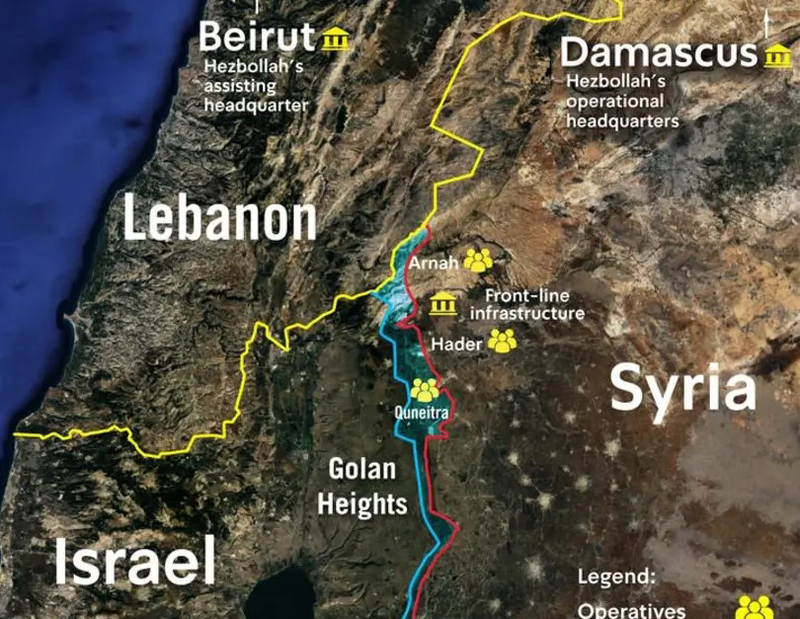 Lebanese officials have called the plan an “aggression,” however, the entire project was planned, and is being implemented with close consultation between Israel and UNIFIL, which, in turn, informs the Lebanese army. The UK now joins Canada, the U.S., Israel, the Netherlands and the Arab League in banning the terror organization. Judith Bergman, “UK Bans Hezbollah,” Gatestone Institute, (March 23, 2019).